A belated post of images from another great Thanksgiving with dear friends in New Orleans – at the home of Jesse Hardman, with wicked smart and hilarious friends Katherine Lanpher, Rosie Schaap, Maya Lau and others. Medill School of Journalism students were well represented in the college categories of the Midwest/Chicago Emmy awards, and some of the nominees produced their work in my classes. 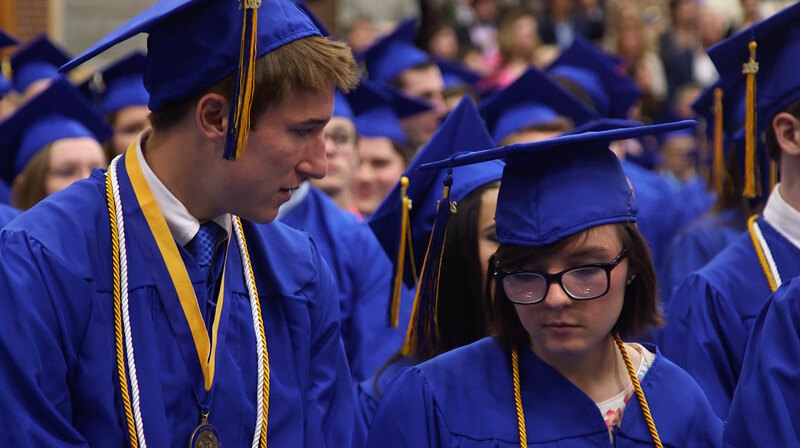 In the General Assignment Reporting category, Brandon Wilson won a nomination for ‘Graduation Day,’ a piece he reported in the video journalism class I teach. The story is about a high school senior and former soccer star who suffered a debilitating stroke. And Jesse Kirsch – who is in my video journalism class this quarter – is also nominated for a story he did for Northwestern News Network (NNN). NNN is an extracurricular news program produced by Medill School undergraduates. Their Election Show (which was a Bronze national Emmy earlier this year) was nominated in the Best Newscast Category along with their “Chicago Show” in in May. In the Student Sports production category, Adam Mintzer got a nod for his story about NU crew. Reporting that piece meant he had to get up before dawn several days last spring quarter when he made the story in my spring video storytelling class. In the long form category, two Medill-produced documentaries produced in my colleague Brent Huffman’s class and one longer-form story reported in Bolivia by Mathias Meier were among the five nominees. 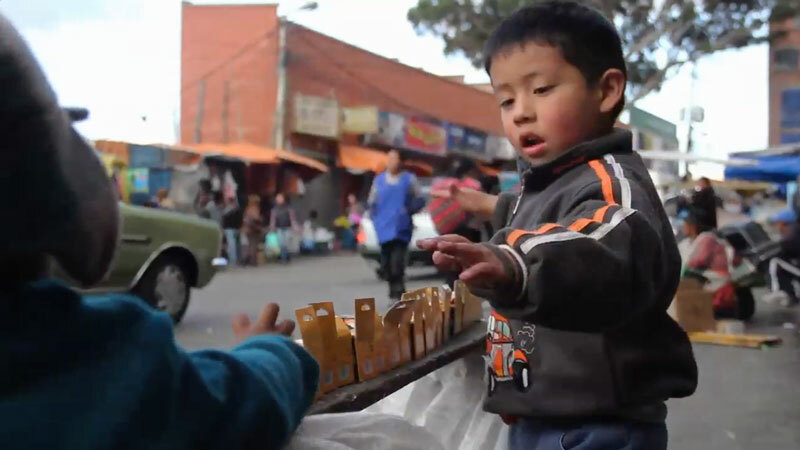 Mathias’ story – which he produced in the graduate-level advanced video journalism course – focused on child labor in Bolivia, which the country legalized last year. That story is set to publish on a major news site soon. I spent Wednesday of this week with some of the dozen parents and activists on a hunger strike to demand that the city reopen the Dyett High School in the Bronzeville neighborhood as a Global Leadership and Green Technology school. Chicago officials on Thursday said they would reopen the school next year, but as an arts-themed school, not the proposal the hunger strikers want. They continue their hunger strike, now into its 20th day. The shooting assignment was for AJ+, who produced this piece. In doing this three-part documentary series for the74million.org with former NBC and CNN reporter/anchor Campbell Brown, I got to spend a lot of time in the amazing city of New Orleans, where I met students, parents and educators who have persevered as the city rebuilt and reformed its school system. Last month, I went to Pierogi Fest in Whiting, Indiana to shoot a video complement to this story in the WSJ. Didn’t have a chance to dunk a nun, but I did have a few of the little dumplings. 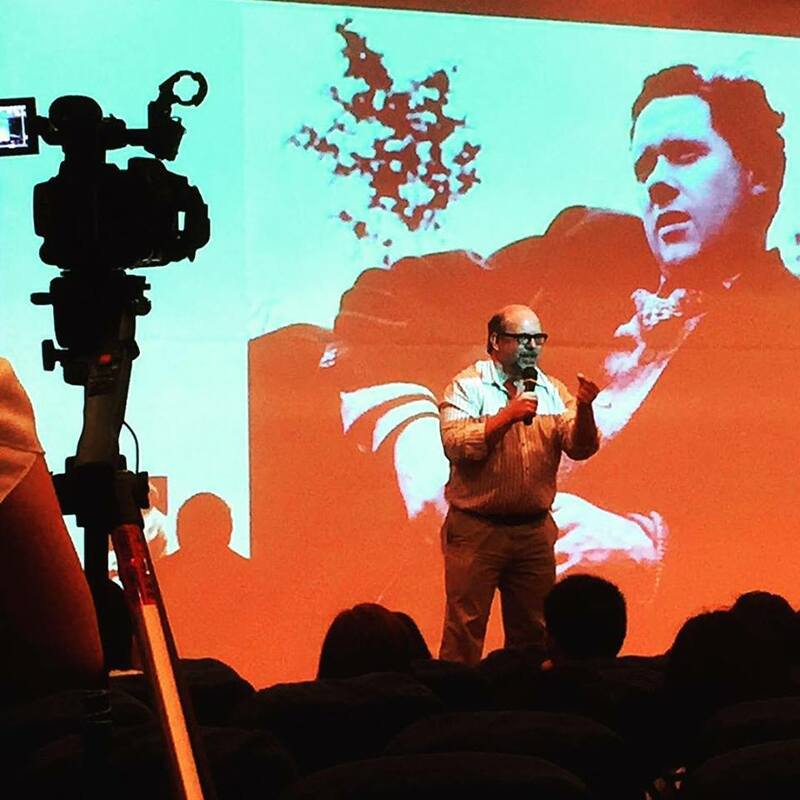 On July 18th, I gave a lecture at Jinan University for the school’s media leadership conference. They asked me to speak about “convergence journalism,” a subject I know a lot about, even though I’m not a big fan of the word “convergence.” I emphasized that in the digital world we live in, many ways of storytelling have converged, and any news organization can work in practically any medium — text, photos, audio, video and interactive — with relative ease. So, essentially, all journalism is convergence journalism. Instead of dwelling on converging media, I urged the audience to be smart about finding the right medium for the story, rather than trying to shoe-horn a story into any individual storytelling method. To make this point, I use a poem by Dylan Thomas, which has been used and adapted across various platforms. By reading it, listening to it being read, and seeing people (including the late comedian Rodney Dangerfield) perform it, we see the strength of each of the mediums and can then think about how that translates to news stories. In modern news reporting, we have so many platforms on which to give the story the works. 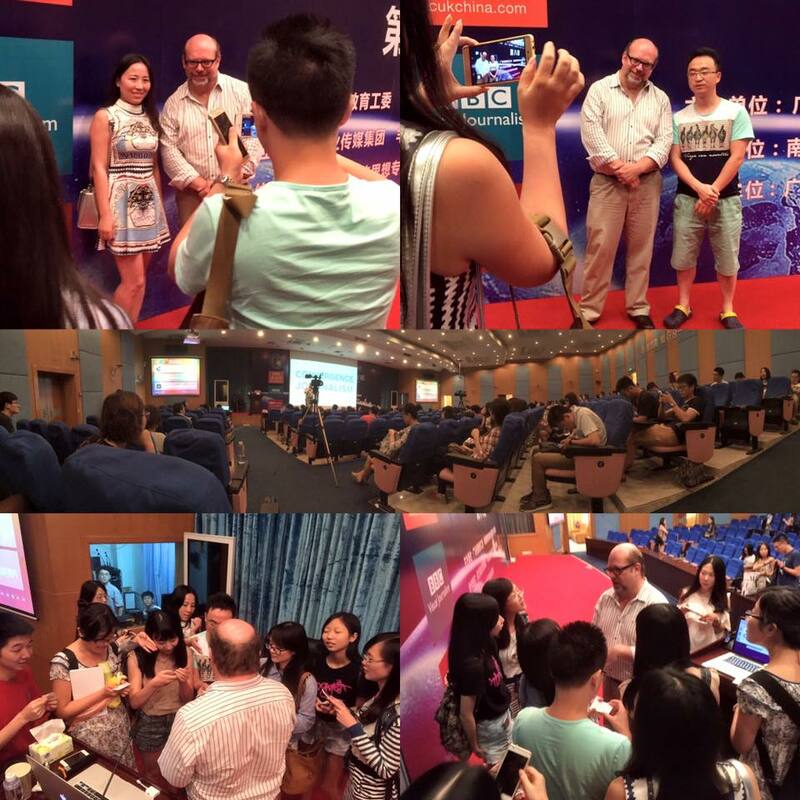 I was joined at Jinan by my Medill colleagues Scott Anderson, Michael Deas and Zach Wise, who made this collage of photos of attendees who came to speak to me after my talk. 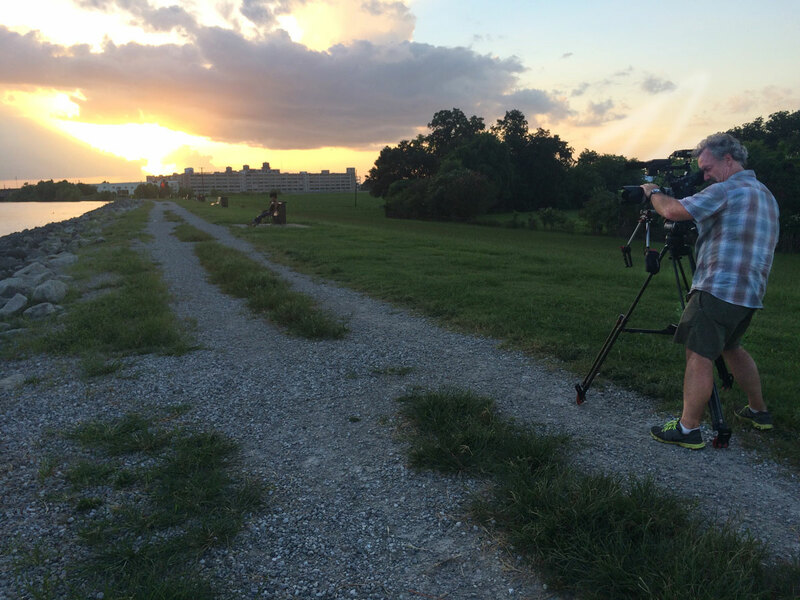 From the levee in the Holy Cross neighborhood of New Orleans, you get a great view of downtown across the Mississippi River. With photographer Roger Herr. This past week, I continued work on a series of pieces I’m doing in New Orleans for the74million.org, a news portal focused on education that will launch this Monday. 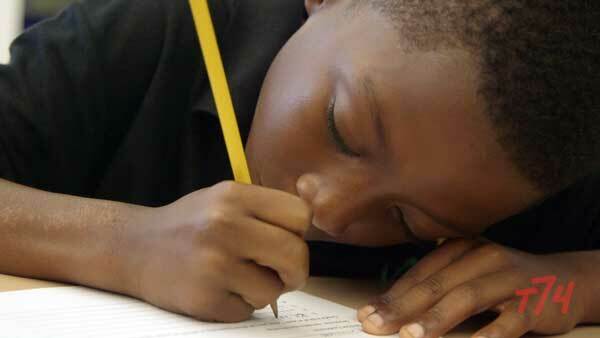 (The 74 million refers to the number of children under the age of 18 in the USA.) Since so much of what I’ve been doing the past several years has been solo video journalism, it has been a while since I’ve had the luxury to work in the field with a correspondent, a photographer and a sound person. 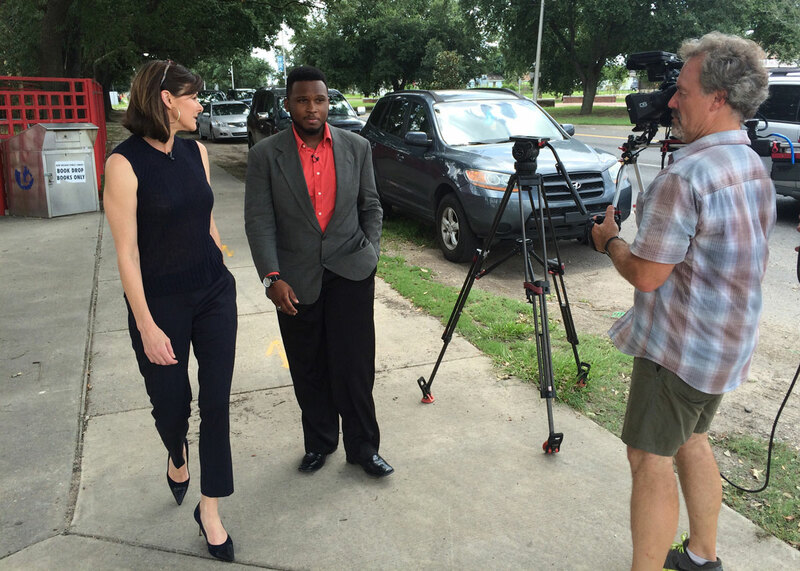 Campbell Brown talks to Jamal Preston, a recent graduate of the Dr. King Charter School in New Orleans. I had the pleasure to work with former NBC and CNN reporter/anchor Campbell Brown, photographer Roger Herr, a former CNN colleague and Darryl Mitchell on sound. The last time Roger, Darryl and I worked together we got to stand on top of the head of George Washington on Mount Rushmore for a Discovery Channel show on Homeland Security. I’ll tell you more about the New Orleans stories when they run in August. 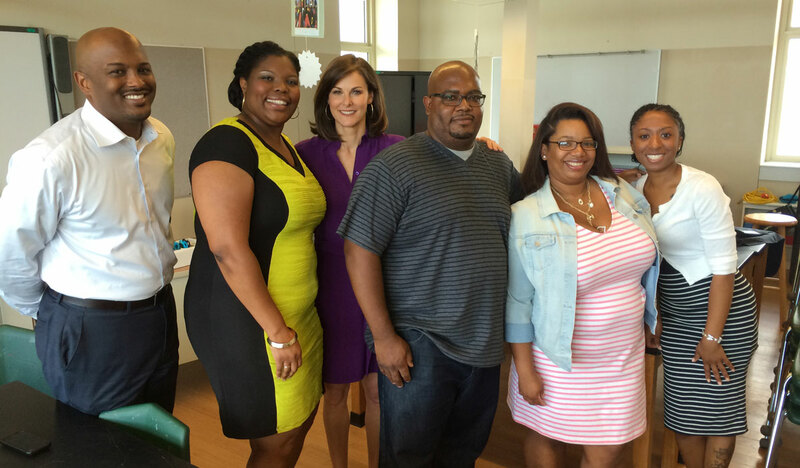 Campbell Brown (third from left) with Jamar McKneely (far left), the CEO of InspireNOLA charter schools, and parents of children at the Andrew Wilson school in Broadmoor.